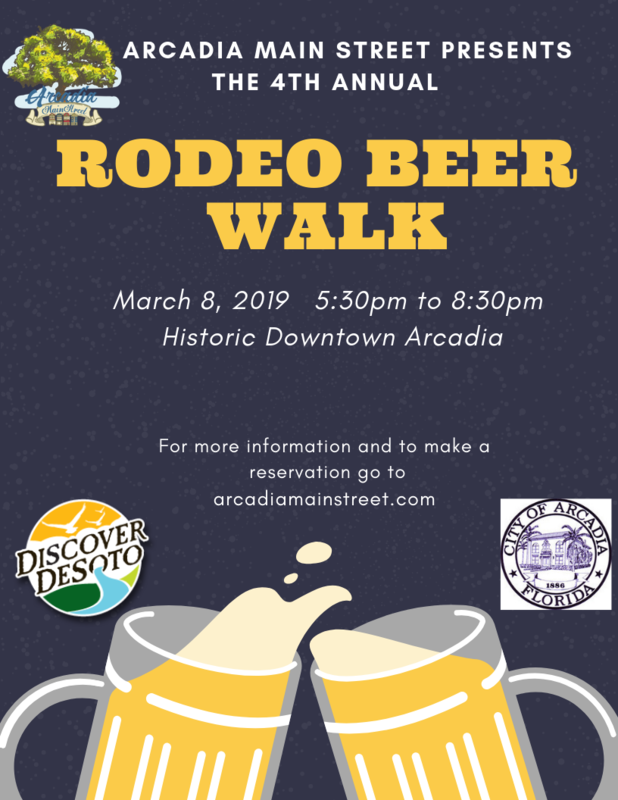 Howdy Partner, join us in downtown Arcadia and walk from shop to shop enjoying a variety of craft beers, a few wine choices and tasty snacks. Reserve your spot and meet at the Arcadia Main Street office at 17 N. Polk Avenue beginning at 5:00pm to receive your official Beer Walk glass and a map of participating shops. The Rodeo Beer Walk will not begin until 5:30pm. Glasses will be reserved for those who purchase them ahead of time during our pre-sale time. If you wait to purchase your ticket the evening of the event, a glass may not be available. This is a rain or shine event, No refunds will be given. All proceeds for this event go to the Arcadia Main Street program to continue to bring events to our downtown area and keep it beautiful.